Heat oven to 450°F. Make pie crust as directed on box for One-Crust Baked Shell using 9-inch tart pan with removable bottom. Bake 9 to 11 minutes or until lightly browned. Cool completely, about 30 minutes. The crust and cream cheese filling can be assembled and refrigerated overnight. 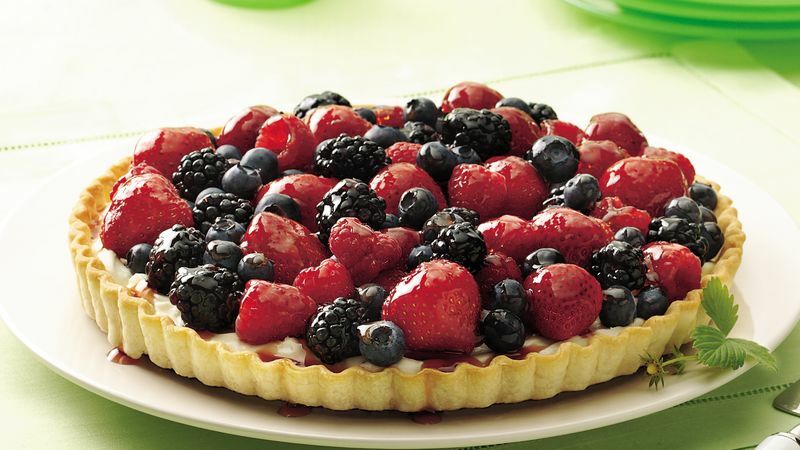 Just before serving, arrange the berries over the tart, and brush with the melted jelly.